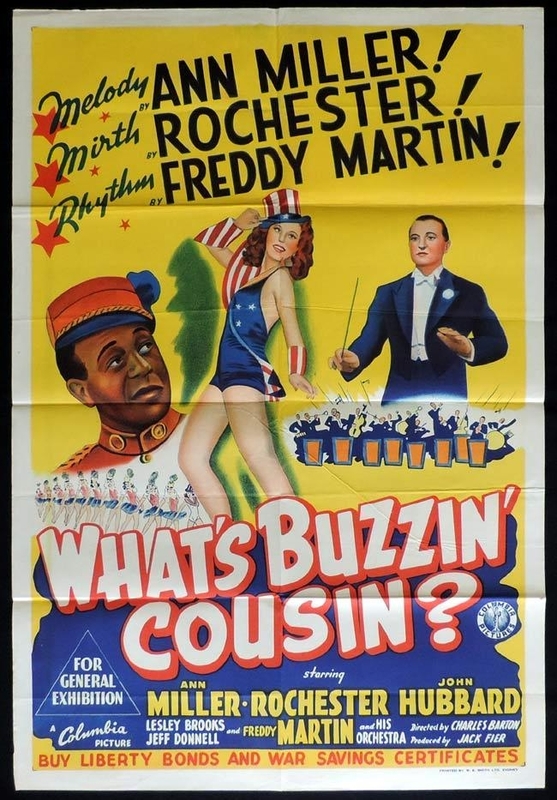 ''What's Buzzin' Cousin ?'' ( 1943 ) Australian One sheet. 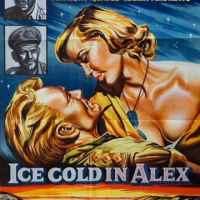 This poster was printed for the Australian release that took place in 1944. What I find interesting is the " Buy Liberty Bonds And War Savings Certificates'' line at the bottom. 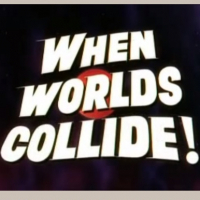 As this was applicable to the U.S.A., why is it appearing on the Australian poster? This wording doesn't appear on the Australian daybill, and as far as I can see on any other U.S. posters printed for this film, or does it appear on any other U.S. film poster whatsoever from World War 1, as well as any Australian posters. 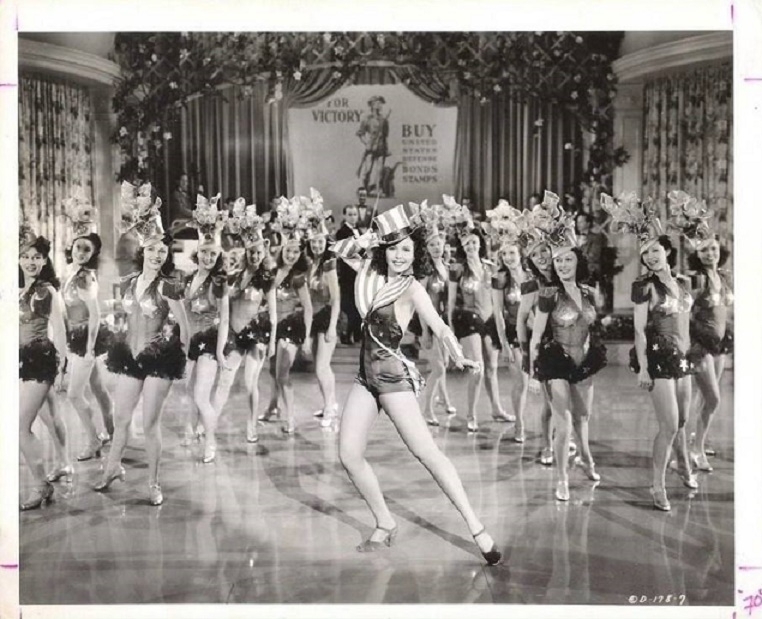 The only thing I can think of is that in the film Ann Miller and chorus girls appear to dance a patriotic number, with a backdrop of a curtain, with a large poster attached with the words '' For Victory Buy United States Defense Bonds Stamps''. Was this a possible reason, but is so, why place it on an Australian one sheet ? Yes, they certainly were sold in Australia during World War 11. A typo I made earlier regarding World War 1, should have been World War 11. My original query had been why was the ''Buy Liberty Bonds And War Savings Certificates'' line printed on an Australian one sheet for an obviously patriotic American film. 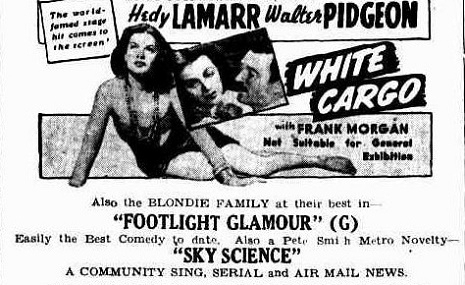 It doesn't appear on the daybill of the film and I had thought this wording hadn't appeared on any other Australian poster titles. 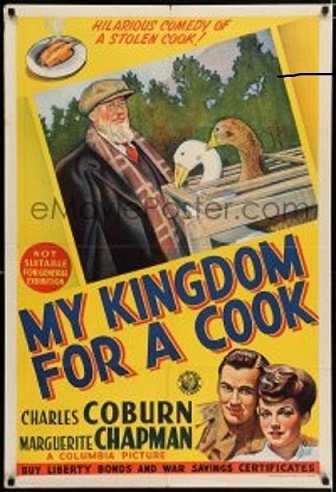 I have now checked into this matter further and although very few Australian one sheets are to be found, I managed to find the following ''My Kingdom For A Cook'' ( 1943 ) one sheet image, which was also a Columbia Picture, with the same wording. It is interesting that often something is there for one and all to see that isn't noticed. A little more information on World War 11 Australian War bonds film poster advertising. 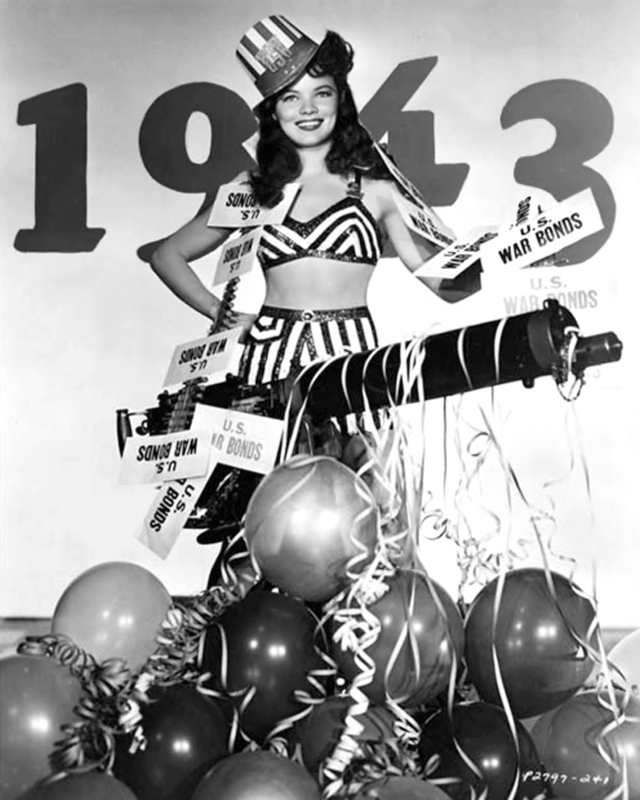 It appears prior to the ''Buy Liberty Bonds And War Savings Certificates'' request, it was the above ''Lend To Defend -- Buy War Savings Certificates'' that was applied. 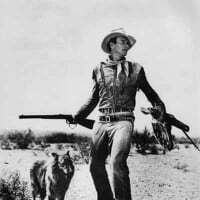 I located three titles with this wording and they are ''The Man In Her Life'' ( 1941 ), ''It's A Great Life'' ( 1943 ) and ''One Dangerous Night'' ( 1943 ). 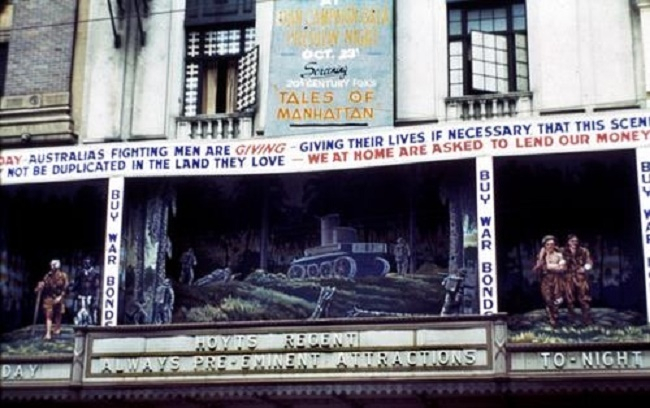 I think the interesting thing here is that all the five film titles with the two different styles of war bond advertising were all from Columbia Pictures. 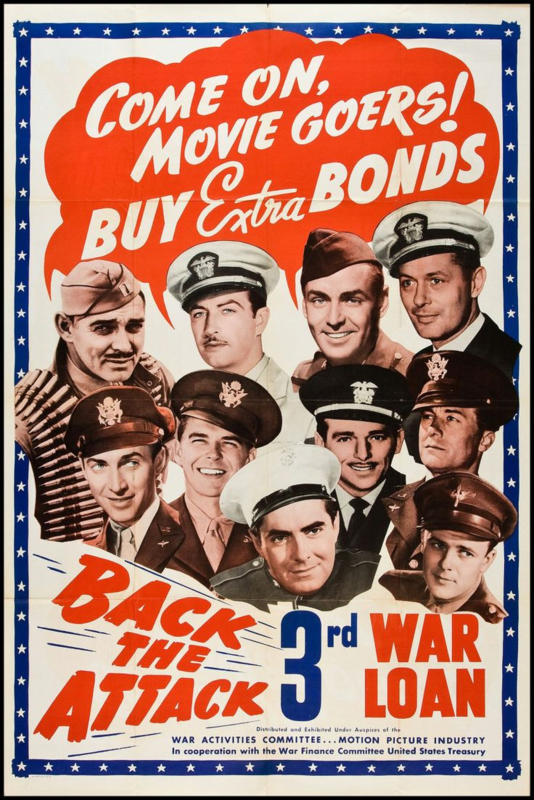 One could ask the question then of - was all the war bond advertising on film posters only applied by Columbia Pictures ? 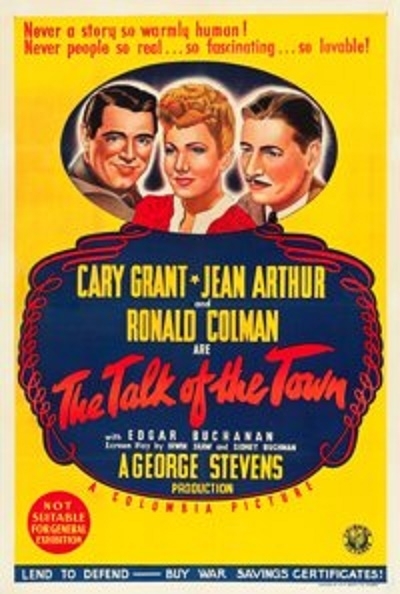 The Talk Of The Town ( 1942 ) is another Columbia Pictures "" Lend To Defend --- Buy War Savings Certificates'' poster. April 9th 1943 Launceston, Tasmania newspaper advertising for the 3rd liberty loan. This is great U.S. poster featuring Hollywood actors. A more conservative Australian poster. 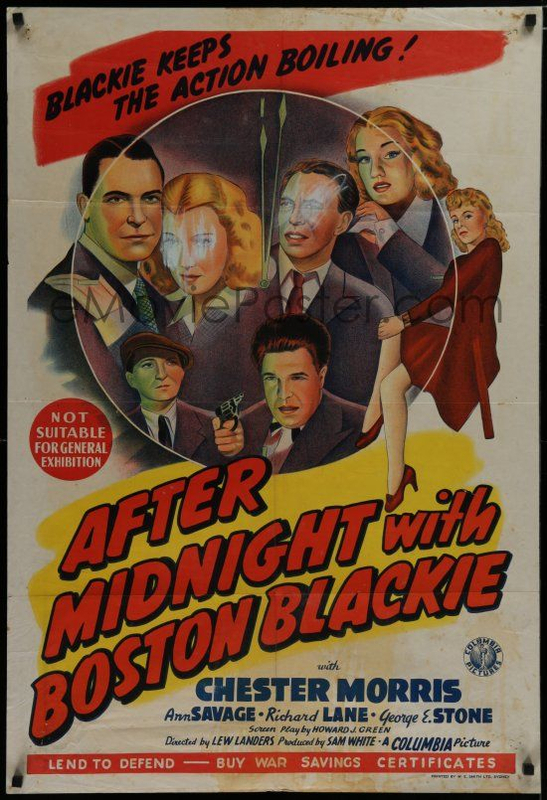 After Midnight with Boston Blackie ( 1943 ). Another Columbia pictures ''Lend To Defend - Buy War Savings Certificates'' Australian World War 11 one sheet film poster. 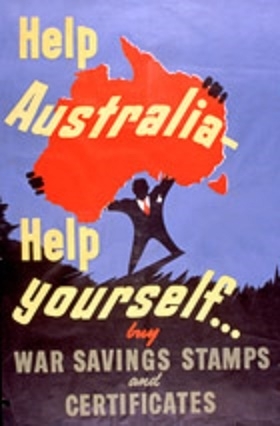 Along with ''Buy Liberty Bonds And War Savings Certificates'' appearing on a couple of their other Australian one sheet posters, this style of promotion appears unique to Columbia Pictures in having been used here in Australia during World War 11. 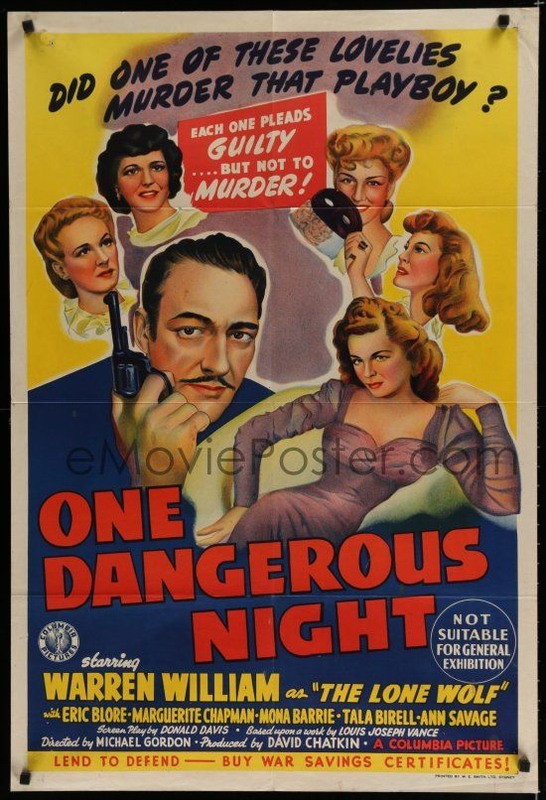 One Dangerous Night ( 1943 ). 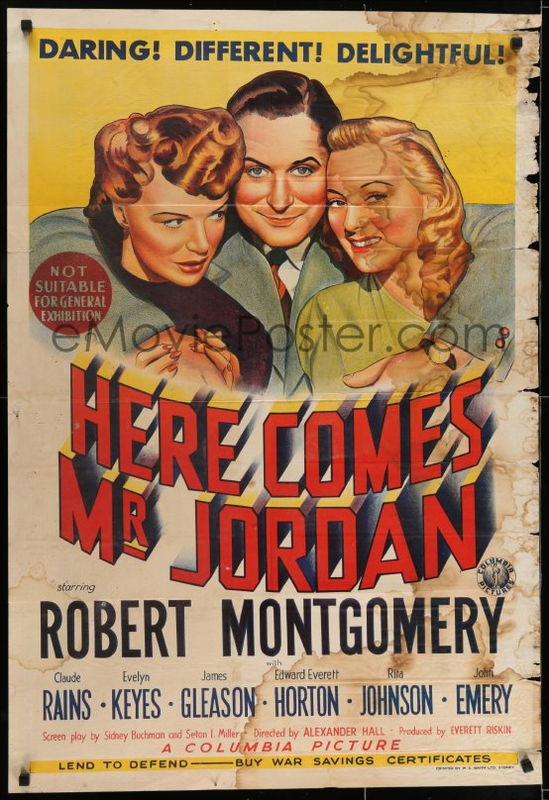 Here Comes Mr. Jordan ( 1941 ). 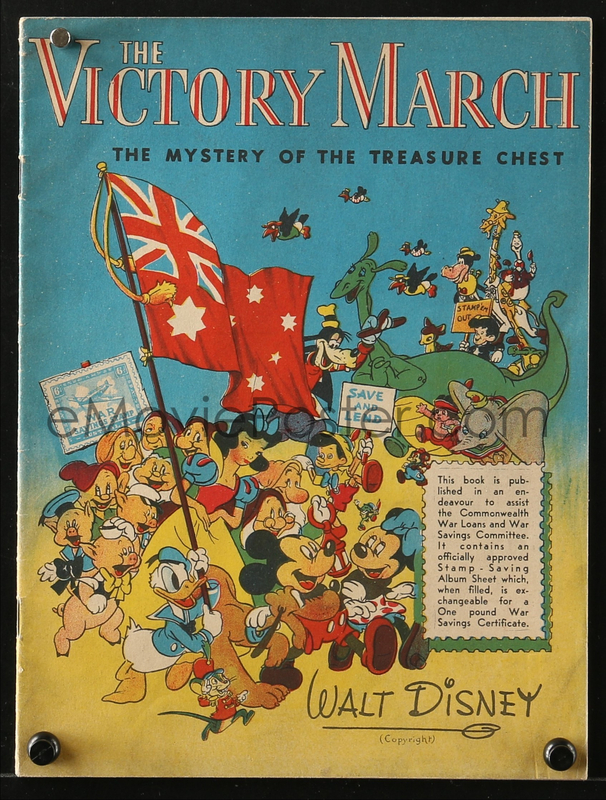 An April 1942 release in Australia. Bruce currently has this item up for Auction on his site. 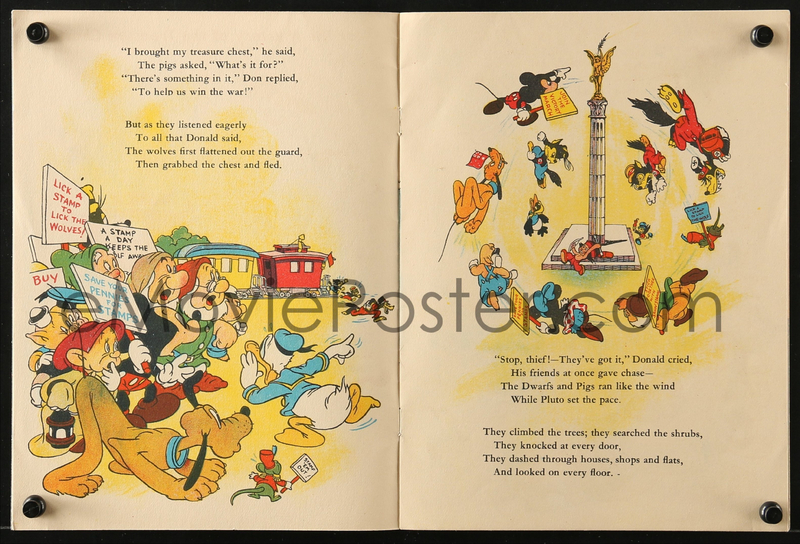 A rather unique way in which Walt Disney helped in the Australian WW11 war effort. I wonder how many of these have survived ? A very sort after item I would think. 1943 New Zealand Liberty Loans one sheet. Blondie Goes Latin ( 1941 ) Australian daybill. 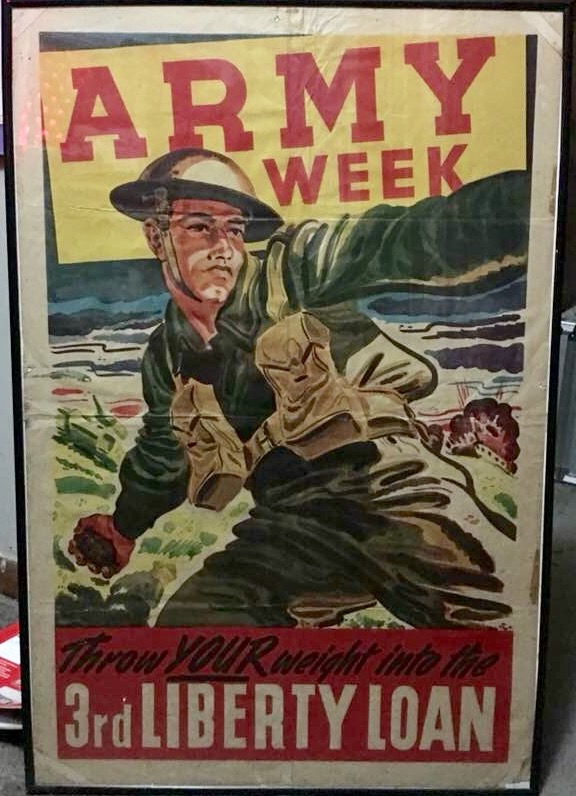 To date the ''Lend To Defend ----- Buy War Savings Certificates'' tagline had only appeared to have been printed on early 1940's Columbia Pictures Australian one sheets. This has now changed as I noticed on Ves's website there is the tagline appearing on the bottom of the above Columbia Pictutes daybill. An Australian, appearing to be a larger than usual sized daybill poster, that was designed for displaying in cinemas in Australia during World War 11 to promote the Second Victory Loan. 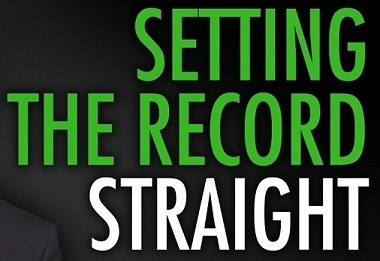 Fantastic...Matt, you have to track one down and add it to your collection! An effective display for Australian War bonds on the top of the Hoyts Regent Theatre in Brisbane in 1942. 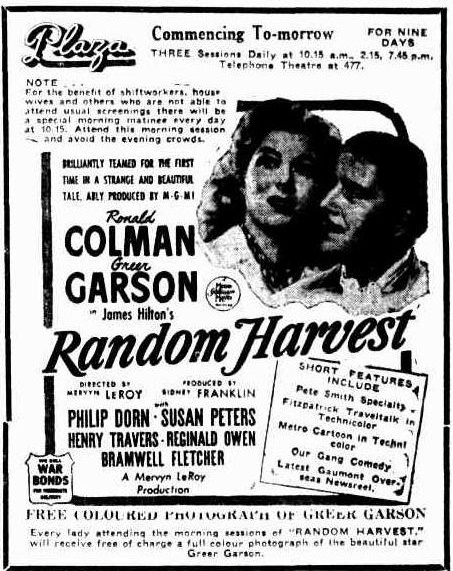 1944 cinema newspaper advertisement pushing War Bonds. Another 1944 cinema newspaper advertisement for War Bonds. 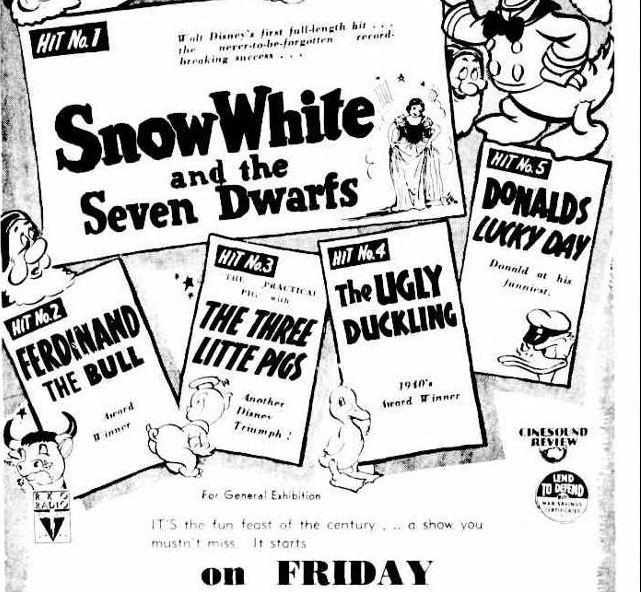 The ''Lend to defend - buy war savings certificates'' tagline used on Columbia Pictures daybills and one sheets, was also added to an Australian newspaper advertisement for a RKO Radio release of Walt Disney's Snow White And The Seven Dwarfs in 1941. 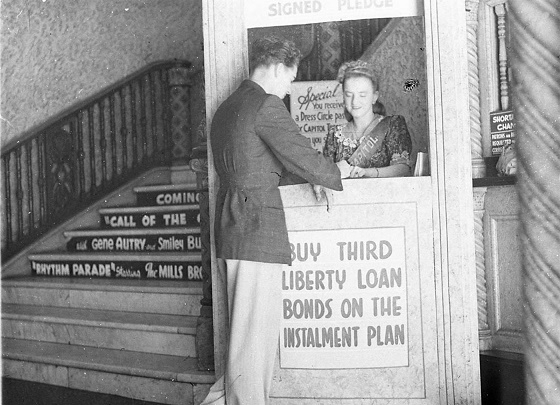 The Capitol Theatre Sydney 1943 selling liberty bonds. 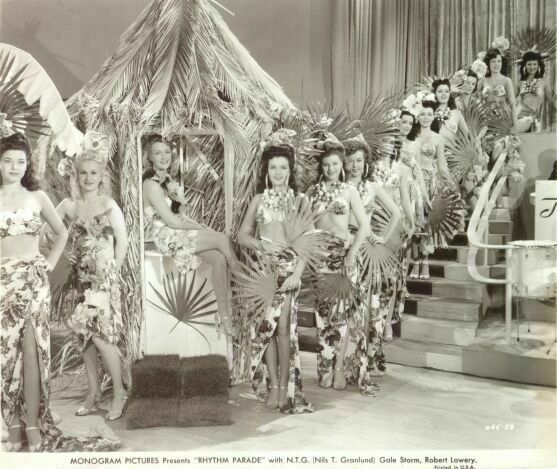 Screening at the theatre at the time was the ''let's forget about the war'' for three hours programme, consisting of Call Of The Canyon and Rhythm Parade.